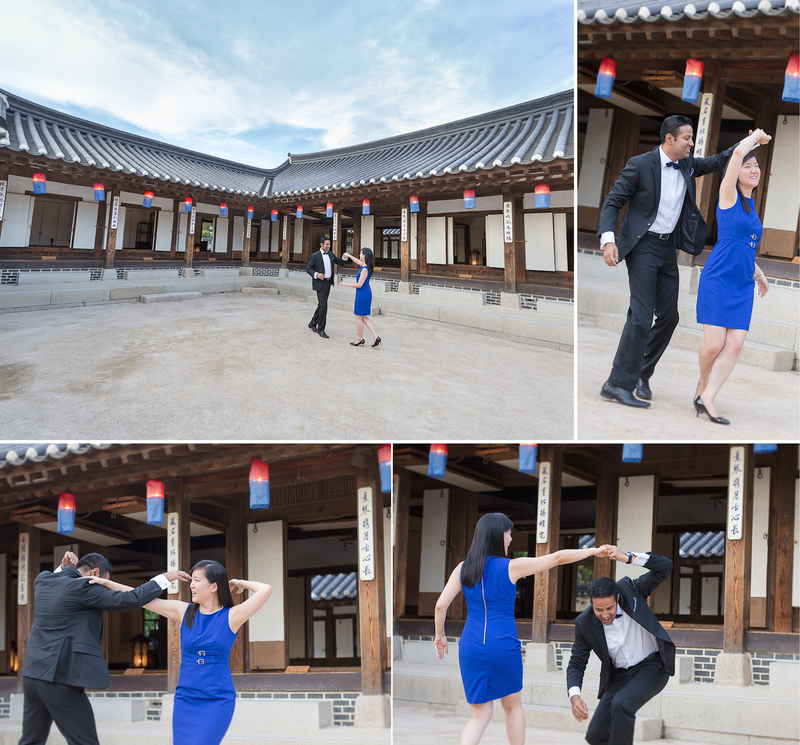 This is the second part of Benny & Helen’s photo session. 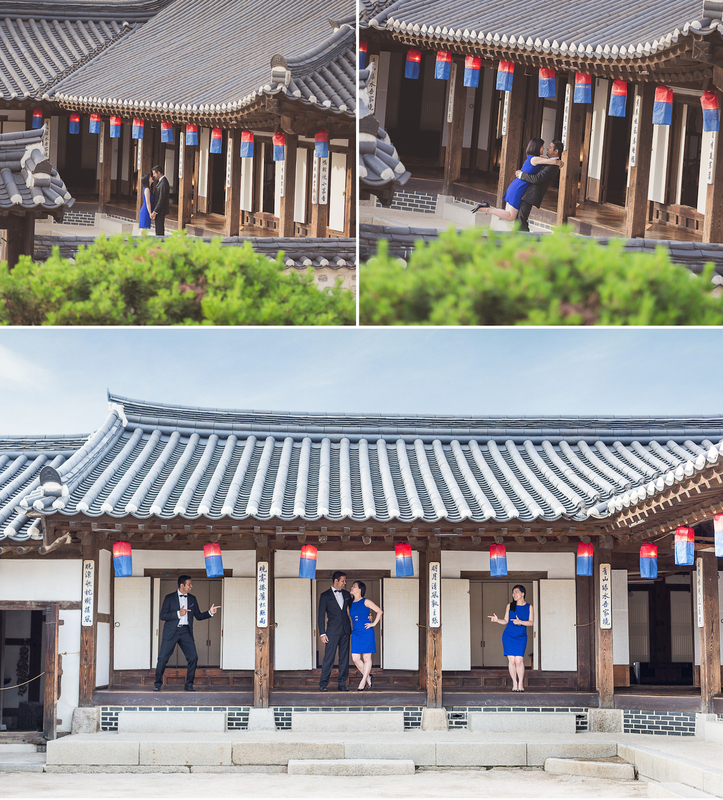 The first part was a surprise proposal session at Gyeongbokgung Palace. 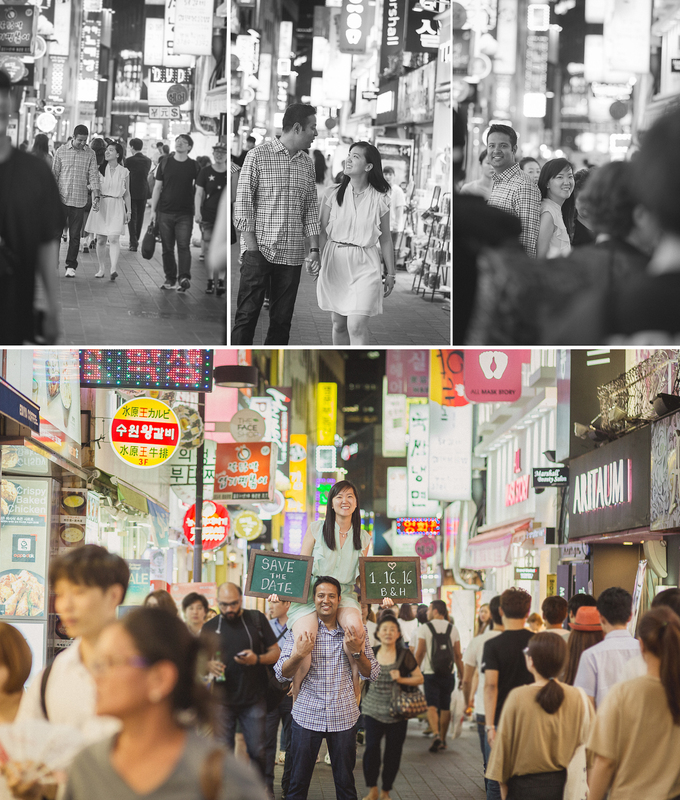 You can view the post here: http://www.jeongyi.com/blog/bennys-proposal-pictures-in-seoul/. 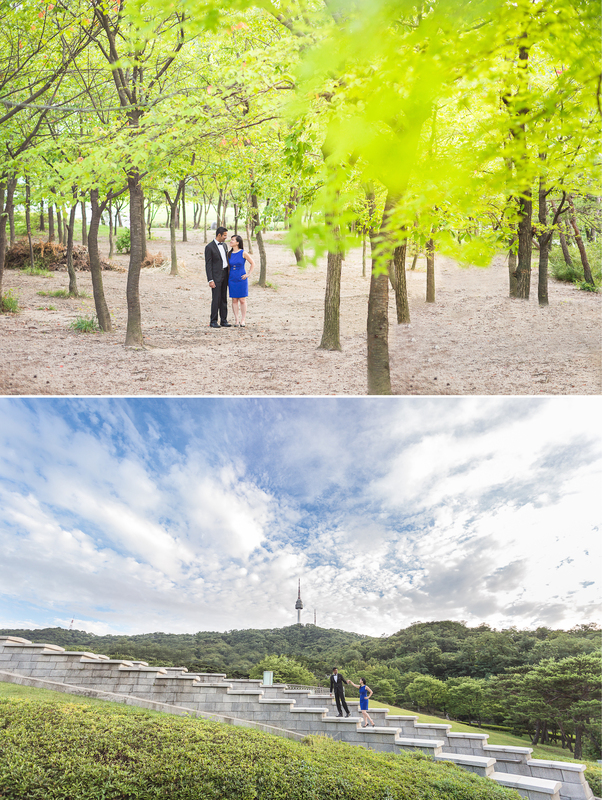 I met with Benny & Helen in the late afternoon at Namsangol to take their formal engagement pictures. Helen’s mom and brother came along to help carry her clothes and of course to remind me to make sure to take great pictures. 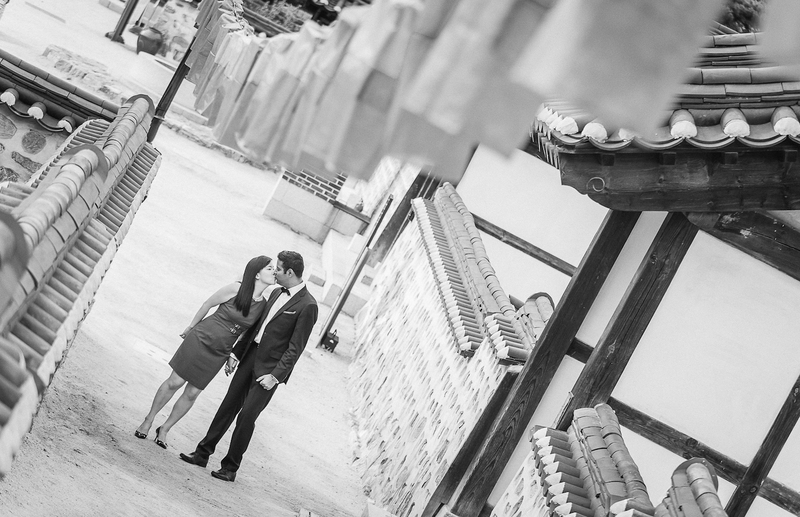 I’ve been to Namsangol many times, but it’s always different with each couple. Helen and Benny were completely down to earth and knew how to have fun. It made my job super easy since all I had to do was snap away as they interacted. 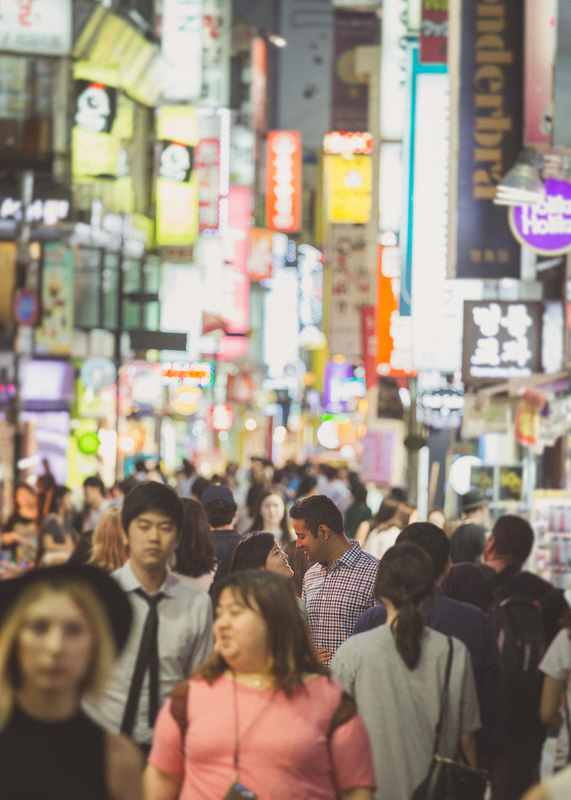 After Namsangol we went to Myeongdong. 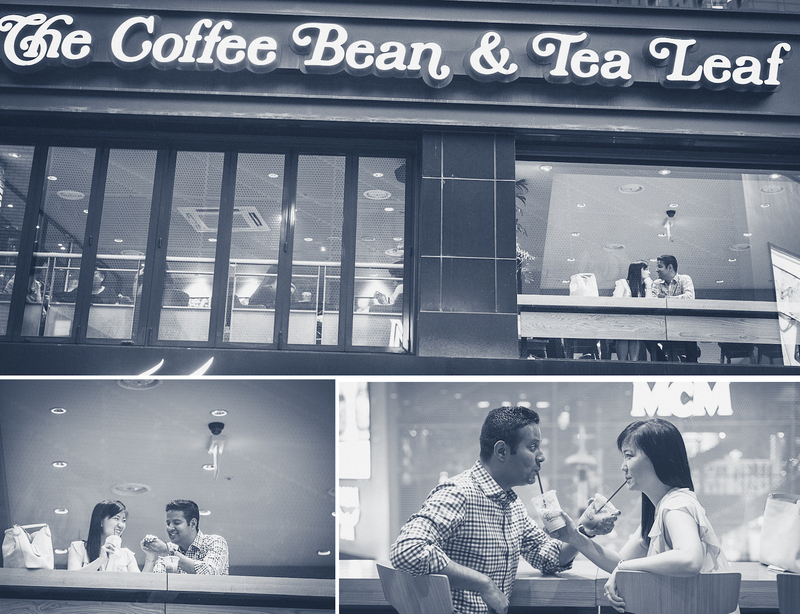 We took a short break at Coffee Bean to wait for it to get darker. The thing about summer is it doesn’t get dark until after 8:30pm! I took a few snaps while Benny & Helen had their coffee, then went outside. Benny loved the crowd shots from my previous sessions, so we started out by taking some shots of them walking in middle of the crowds. As usual, these shots always take a while to get. He also wanted to try putting her on his shoulders with two chalkboards. This one was extremely difficult and Helen almost fell off his shoulders, but we finally managed to get some good shots. We ended the night by running back and forth on the busy crosswalks using the car headlights as backlights as we did a bunch of different poses. Once again, it took a while to get the settings just right. We had some bad luck with big buses that kept blocking the background each time, so we ended up switching crosswalks which did the trick. 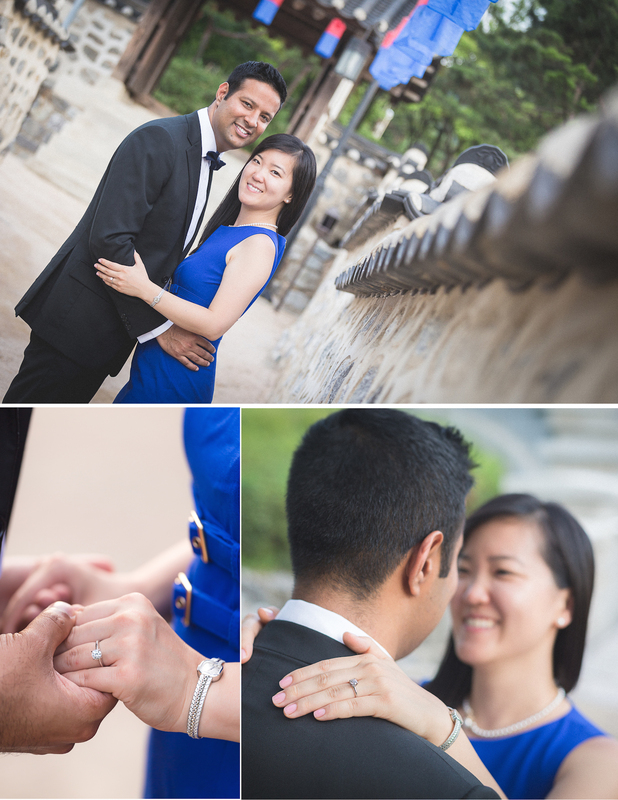 Benny & Helen – thank you for letting me take both your proposal and engagement pictures. I had a blast with you two!